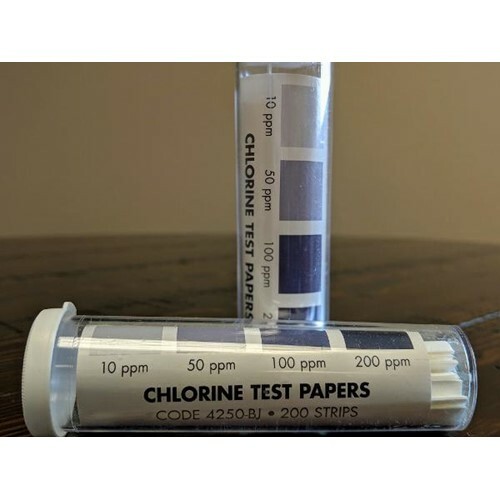 Chlorine Test Papers, 200 Strips, ATK4504, sold as 1 container of 200 strips. Applications: Water and Wastewater, Industrial Water Boiling and Cooling, Drinking Water, Laundry and Sanitation 4250-bj. Chlorine test papers are chemically treated to indicate sanitizer levels. Range and sensitivity is 10, 50, 100, 200 ppm.